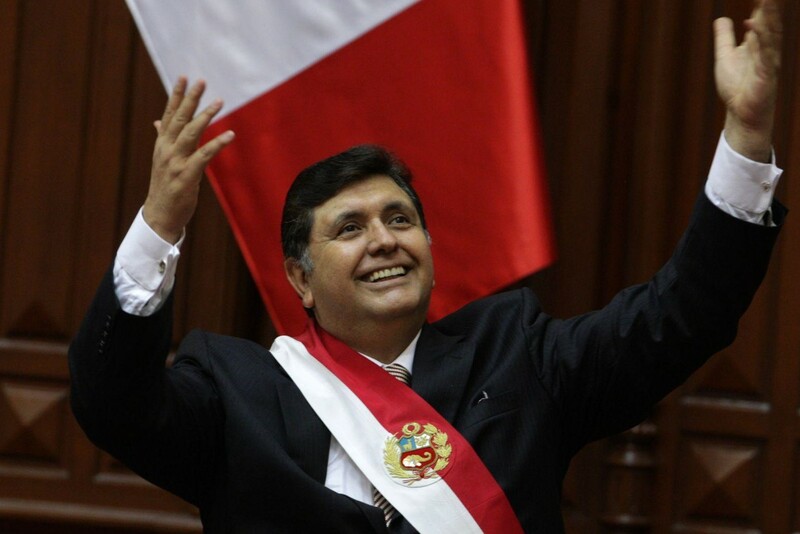 Will Uruguay grant political asylum to former Peruvian President Alan Garcia? Former Peruvian President Alan Garcia entered the Uruguayan embassy and applied for asylum, hours after being banned from leaving the country while under investigation for corruption, the Peruvian Foreign Ministry said on Sunday. Garcia entered the embassy and home of the Uruguayan ambassador in a residential Lima neighbourhood on Saturday night and requested asylum, according to a statement from the Foreign Ministry. Garcia "has requested asylum from that country, in accordance with the provisions of the Convention on Diplomatic Asylum of 1954, of which Peru and Uruguay are parties," the Foreign Ministry said. The request "should be evaluated by the government of Uruguay," the foreign ministry added. Garcia's request came hours after a judge ruled on Saturday to prohibit the ex-president from leaving the country for 18 months while under investigation for bribes allegedly received during the construction of an electric train in Lima by Brazilian company Odebrecht. Garcia held Peru's presidency twice, from 1985-1990 and again from 2006-2011.